In the heart of Capitol Hill, this beautifully updated 1b/1b end unit features custom modern finishes such as custom bamboo 'whisper quiet wool' flooring throughout, fully remodeled 3/4 bath with luxe waterfall shower & builtin speaker. An entertainerâs paradise, kitchen updates include ss appliances, soft-close cabinets, custom waterfall counter tops, & motion senor lighting. 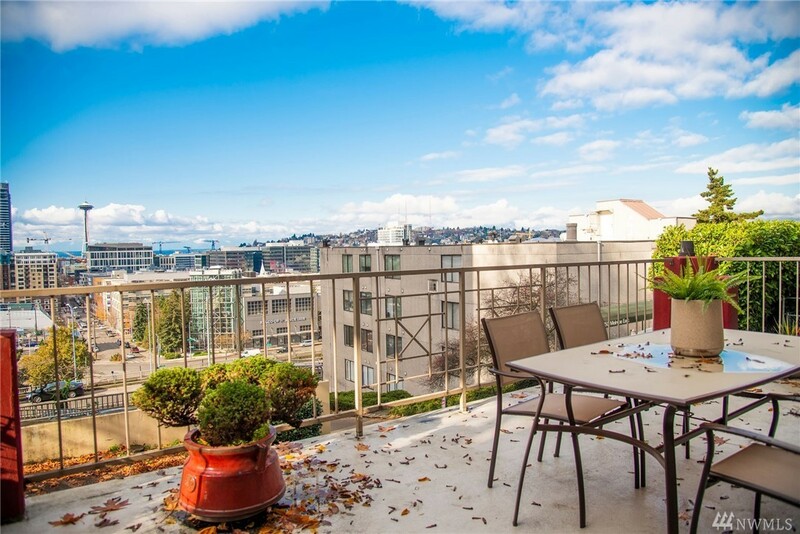 Secured garage w/ 1 prk spot & additional private storage & unobstructed views of cityscape from huge private deck!